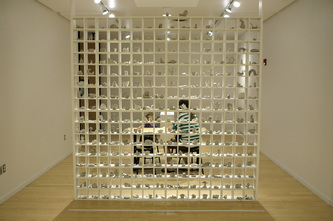 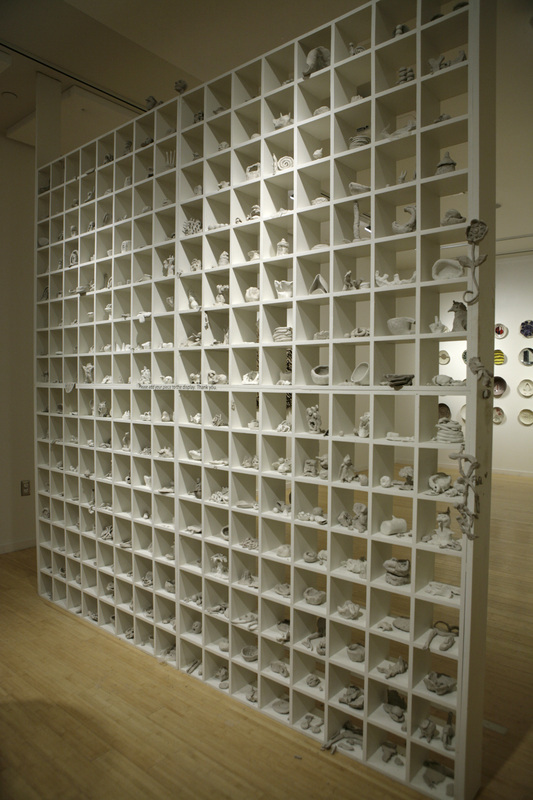 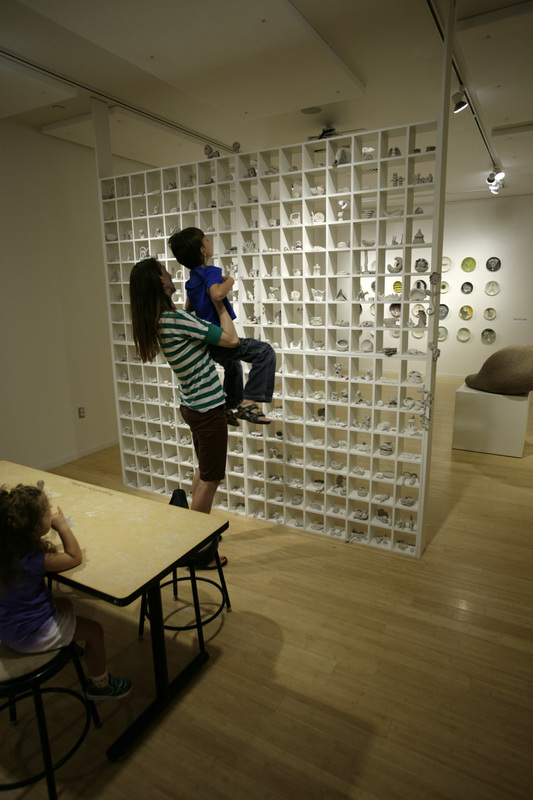 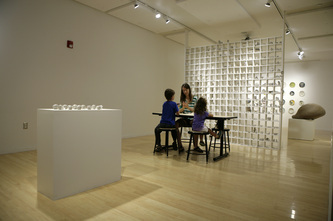 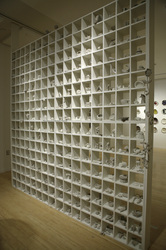 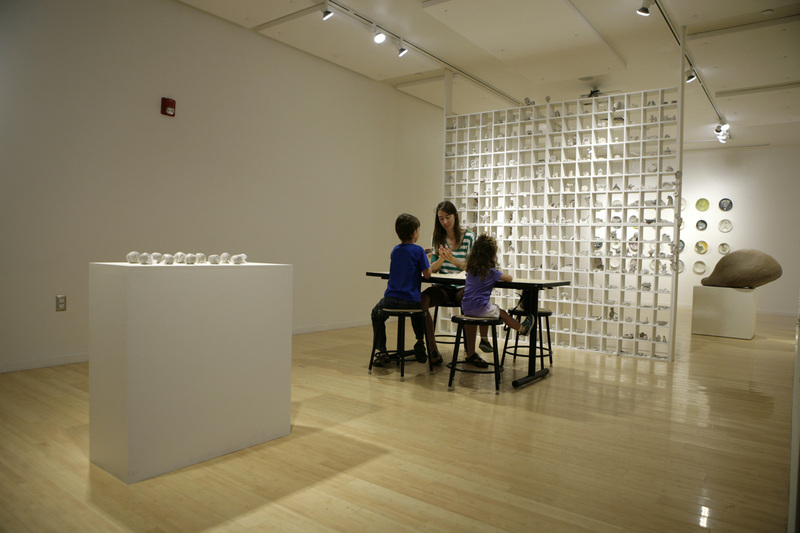 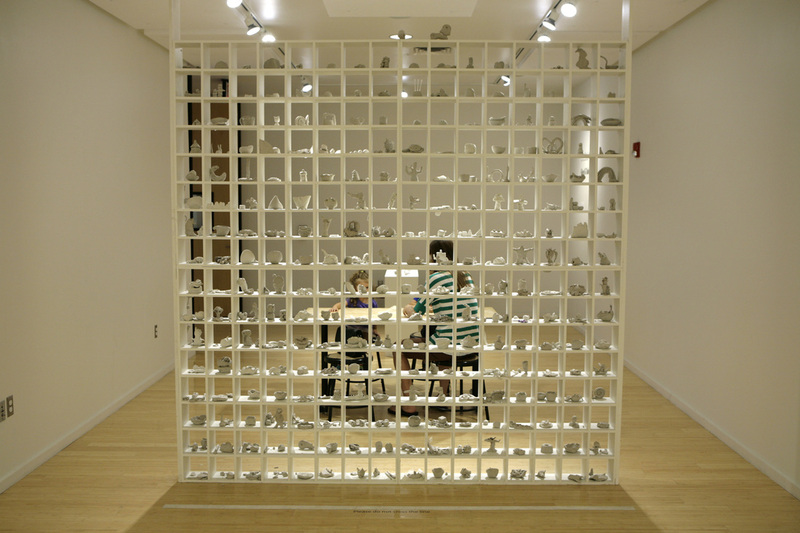 Give-and-take was an interactive project at the Lawrence Arts Center Gallery that run for a month throughout the duration of the show. 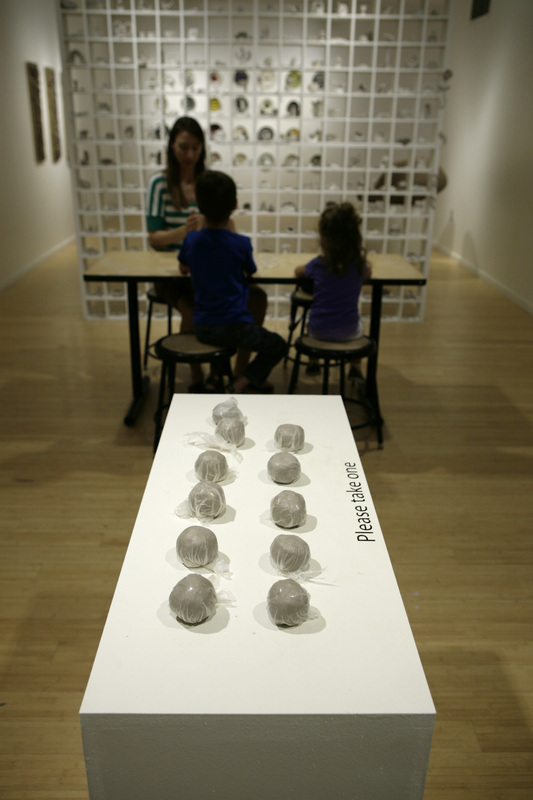 The gallery set up consisted of a pedestal with balls of malleable clay, a table with four chairs and a floor-to-ceiling wall of cubbies. 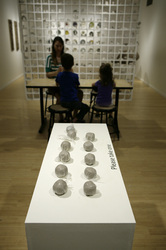 With minimal instructions, the set up itself invited participation. 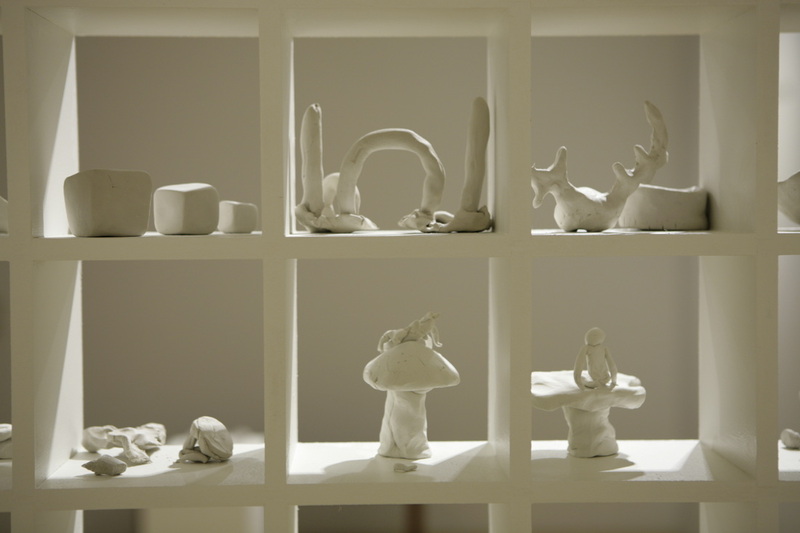 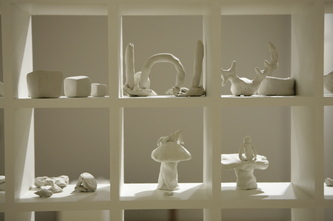 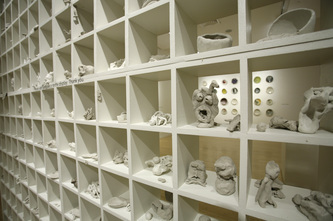 The visitors used the provided clay to make objects which they then placed in the cubbies. 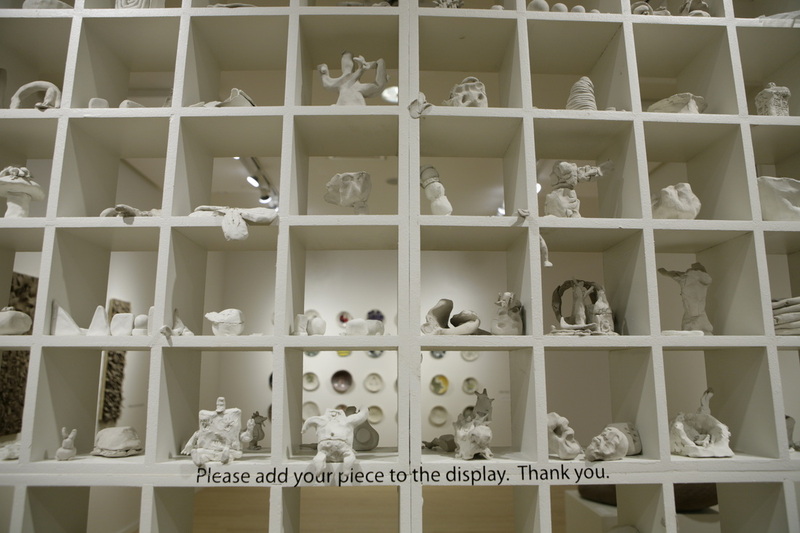 No directions were given as to what to make or how to display it. 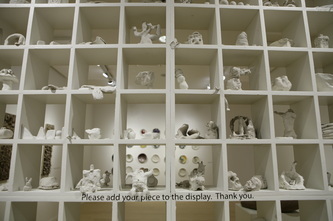 My aim was to turn the gallery from an often intimidating space where most people don't feel at home to a welcoming environment where not only are you welcome to touch the objects on display, but you're in fact making something, physically contributing to the show, and collectively creating the central piece of the exhibition. 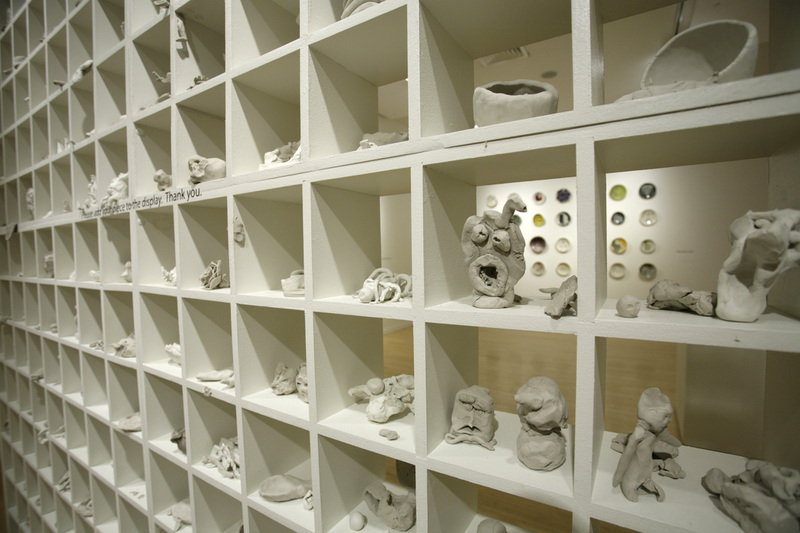 The participants ranged from young children, teenagers, adults, seniors, whole families, individuals, professional artists, art students, through people who had never touched clay to those who felt they had never made anything before. 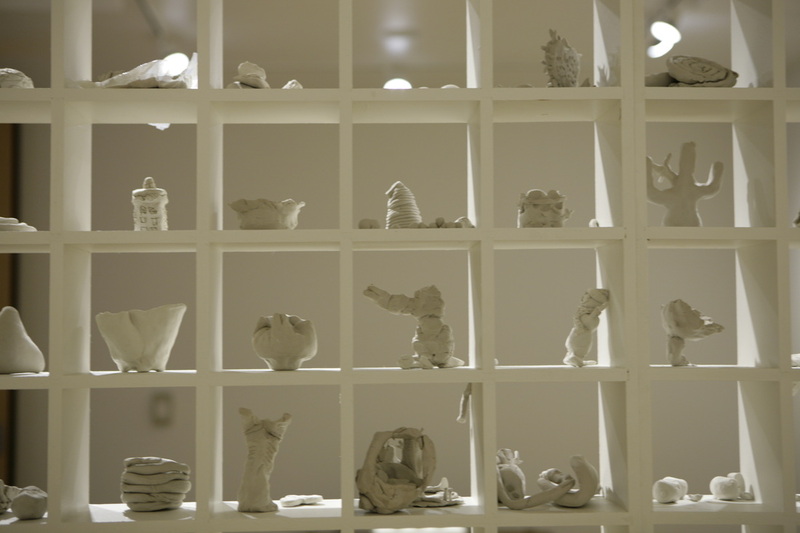 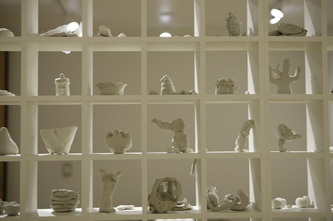 At the end of the show each individual piece was documented and catalogued and the clay was recycled to be used during clay workshops at the arts center.